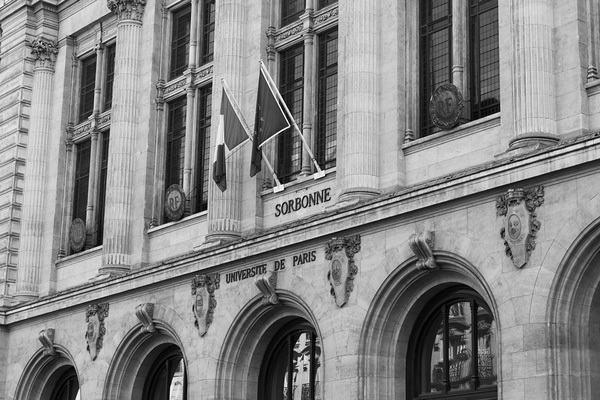 University of Paris, Sorbonne is one option for graduate study abroad. It was a warm, rainy day when I boarded a train leaving Cannes to catch a flight home. I was 21 and madly in love with France. I had spent six months reveling in the fresh, salty Mediterranean air, learning about French wine and consuming enough croissants to pack on an extra ten pounds. As the train picked up speed, taking me away from my junior year abroad, I felt a painful sense of loss. It was the end of a once-in-a-lifetime experience: never again would I have such an opportunity to study, travel, meet amazing and diverse people, and immerse myself in a new culture. Or so I thought. It turns out that there are a growing number of programs abroad for those of us who either couldn't get enough in college or never even had the chance. Numerous professional and graduate programs now supplement their domestic curriculum with an international component—a reflection of the ever-growing global nature of subjects like business, politics, and law. Joy Haynes, a third year law student at Georgetown University Law Center, spent a month this past summer at University College London and earned six credits toward her law degree. While she had always wanted to study abroad in college, her busy schedule prevented her from fitting it in before she graduated. Georgetown's summer law program gave her a chance to not only learn about different legal structures in the classroom, but also experience them firsthand. "I believe that international experience is beneficial not just as part of my legal education, but in the school of life as well," she said. "The best way to take a critical look at how and why we do things is to take a look at how someone else chooses to do them." After learning about the English legal system she visited the local courts and sat in on cases, an experience she considers a highlight of the summer. The options for legal study abroad programs include short-term summer programs as well as semesters. Students must ensure that the program is ABA accredited and approved by their home institution. Georgetown University Law Center offers credits for study in a variety of countries abroad. The Internet Legal Research Group has an extensive database of summer and year-round legal study abroad programs. Here is a list of MBA programs outside the U.S.
Studyabroad.com provides a list of short-term study abroad programs for those seeking a graduate degree in education, languages, communication, and management. Students may also consider enrolling as a full-time student at an international institution. For more information, check out international graduate schools. Jessica P Hayden is freelance writer.